Olivir Gendebien was born in 1924 in a wealthy and patrician family. He served as a paratrooper towards the end of World War II and spent some years after the war working in Congo, a Belgian colony in Africa. The driving of the young Gendebien over the rough roads in Congo impressed Charles Fraikin who asked Gendebien about his intrest in rallying on his return to Europe. After his return he debuted in a small rally in a Veritas but he had to abandon the race.In 1952 he won his first race in a Jaguar XK!20 in a sports car race in Spa, and he competed in that year’s Liege-Rome-Liege in another Jaguar Mk VII. In 1953 he paired with Charles Fraikin in Liege-Rome-Liege again, with a 2nd place as a result. That same year, Gendebien won in Spa in a 2liter Ferrari MM. Another 2nd place in the 1954 Liege-Rome-Liege Rally, an overall victory in the Tour de France and 1954 was the year he started for the first time in the Mille Miglia, in a Jaguar XK120. In 1955 Gendebien drove his first 24h of Le Mans, in a Porsche 550 Spyder of the Ecurie Belge racing team. He teamed up with Wolfgang Seidel and Andre Milhoux. 1956 was the year he drove as a official Ferrari pilot. During his race career Olivier Gendebien achieved 4 24H of Le Mans victories, 3 consecutive wins in the Tour de France, 3 in the Targa Florio, 1 in the Nurburgring 1000km, 2 in the Reims 12H and another 3 consecutive wins in the Sebring 12H. He teamed up with some of the great racers of that era like Hans Herrmann, Joakim Bonnier, Paul Frere, Herbert Linge, Edgar Barth and Graham Hill to name just a few. 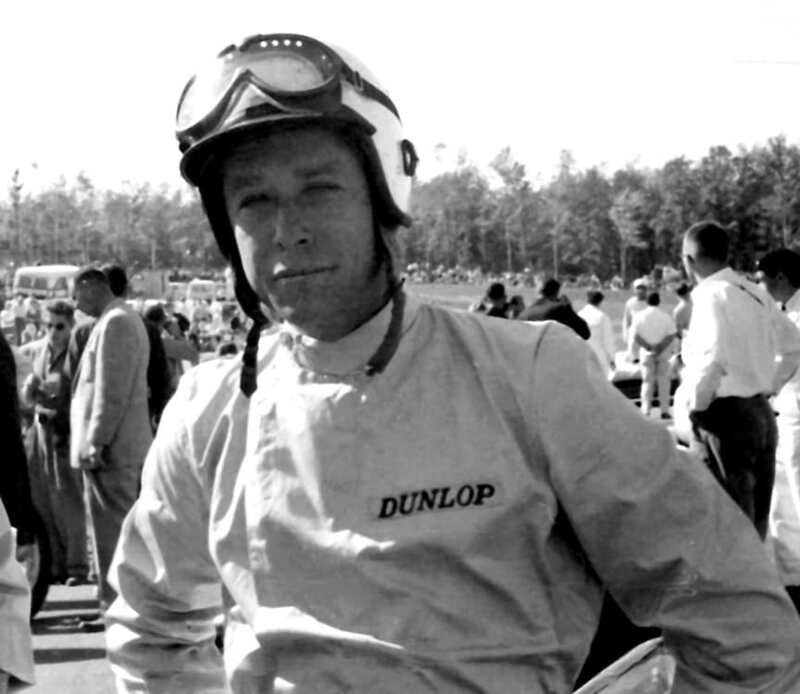 Married with three children, Gendebien’s wife pressured him to get out of the dangerous sport of automobile racing where more than two dozen of his competitors had died at the wheel. At 38 years of age, in 1962 Olivier Gendebien retired following his fourth victory at Le Mans. Independently wealthy, and an avid skier, tennis player, and equestrian rider, he devoted the rest of his life to running a variety of businesses. In 1998 King Albert II awarded him the Belgian Order of the Crown. Olivier Gendebien died in 1998 at his home in Les Baux-de-Provence in southern France.